With an experience in shock-absorber designing and manufacturing for many years, KONI, leader in Heavy Duty dampers (buses, trucks, trailers, military applications, railway, etc. ...), has decided to combine its high level of technology and its 4x4 market knowledge to create a new range of offroad shocks dedicated to the raiders. 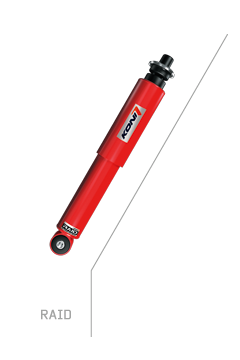 KONI offroad shocks are reliable high quality replacement performance parts for customers who seek a non sophisticated but effective product to do the jobs it's designed for; to finish in offroad rally raids.